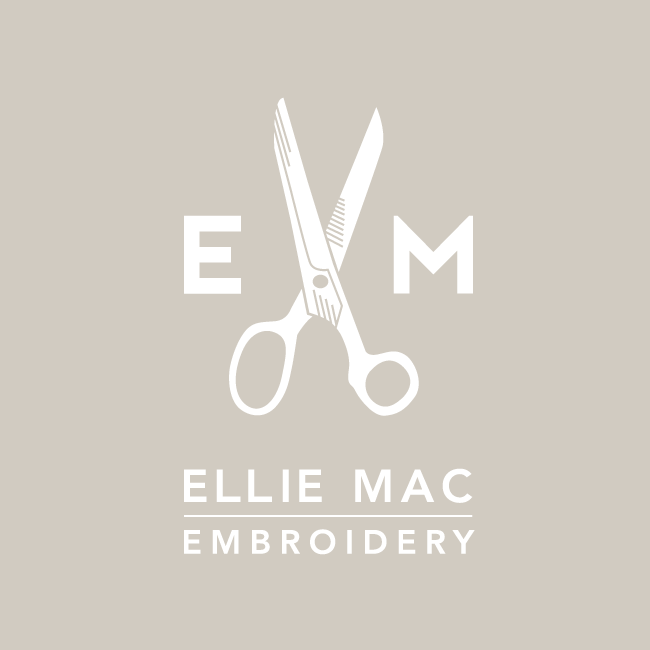 Ellie MacDonald is a freelance embroidery designer, combining her background in sourcing and trading vintage textiles with her unique training in leather work and free hand machine embroidery. 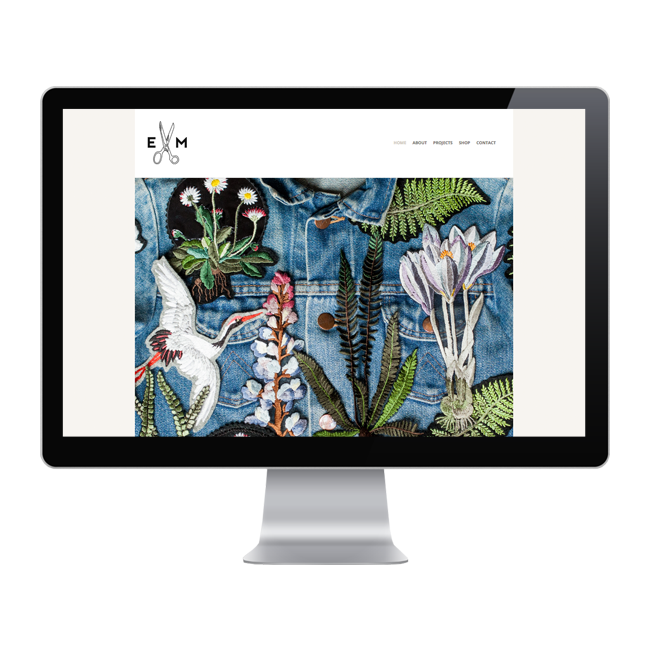 The result: eye popping, contemporary embroidery for interiors, womenswear and editorial pieces. 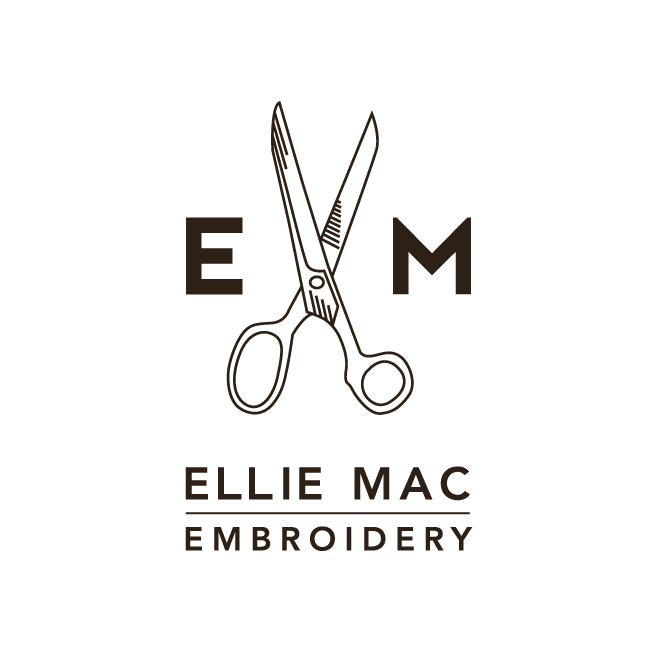 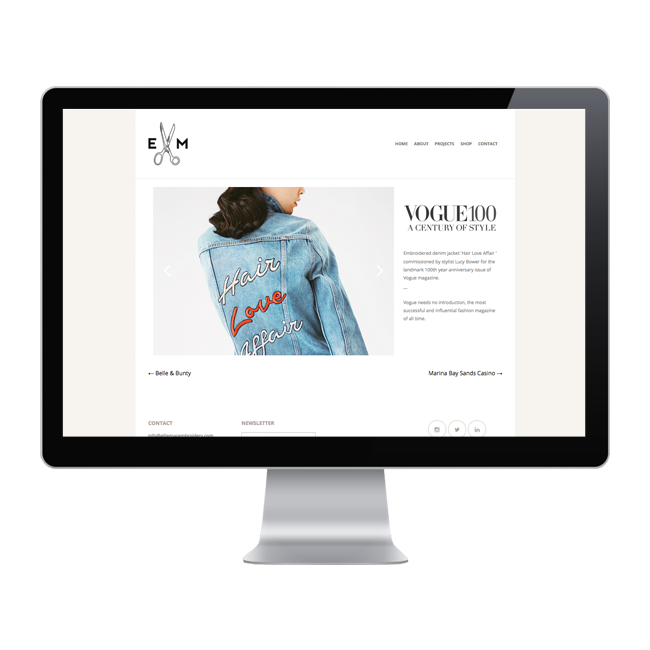 The EM brand needed refreshing with new typography that would set the scene for a new website and stationery set. 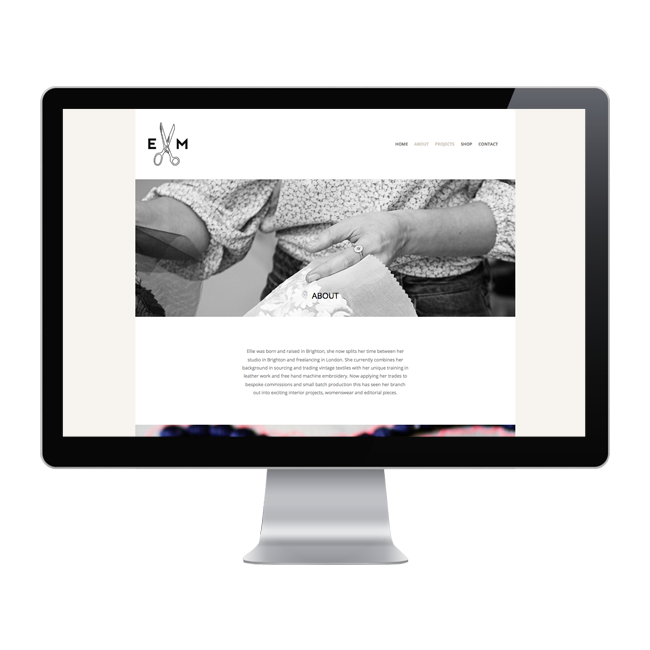 Clean, white and grey were the obvious choices to showcase Ellie’s beautiful craft online and in print.